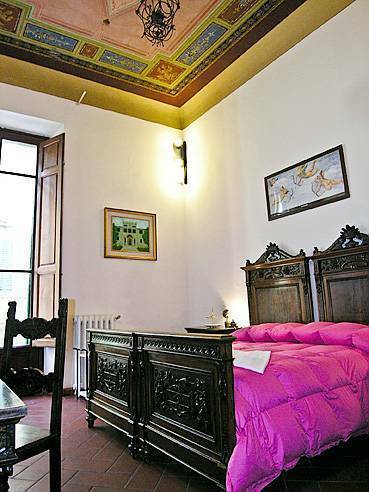 Panerai B&B is situated on the first floor of a 17th century building and is furnished in an elegant Florentine style. The result is a unique atmosphere in which tradition and modernity are in harmony. There is an internet station with broadband connection for the use of guests. All of our rooms are equipped with TV, air conditioning, a safe and a private bathroom with shower. The continental breakfast is served in the room at the time requested by the guests. 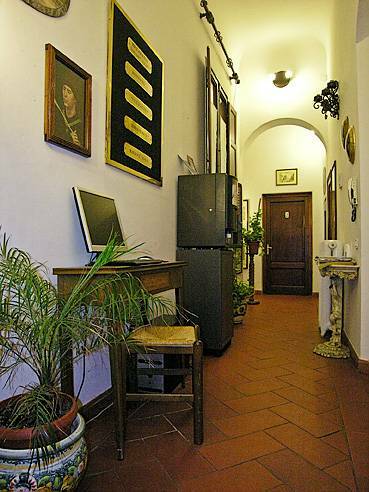 The central position of the B&B allows you to discover the fabulous streets of the historic centre of Florence on foot. This area of Florence is full of little craft shops, markets, restaurants and bars. 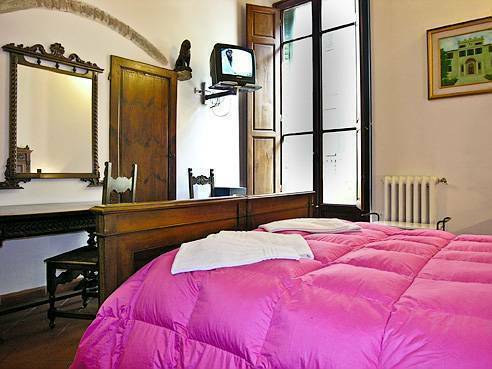 Panerai Bed and Breakfast is easily reached on foot from Santa Maria Novella railway station in about 10 minutes or by taxi, max 5 euro fare. Otherwise take bus no. 14 or 23 and get off at the first stop in Piazza Duomo. From where we are situated you can visit all of the historic centre on foot. From Santa Maria Novella railway station: 10 minutes on foot. From the Amerigo Vespucci airport of Florence: 20 minutes by car. From motorway A1, exit at Firenze sud if you are coming from the south and at Firenze nord if you are coming from the north. Then follow signs for the city centre and for Santa Maria Novella station. Once you arrive at the station, take via Alamanni, cross Piazza Stazione and keep on the road on the right until you get to Piazza Duomo. Turn right into via dei Servi, where you will find our B&B. Soggiorno Panerai, works on the first floor of a four-storey building from the 16th century. 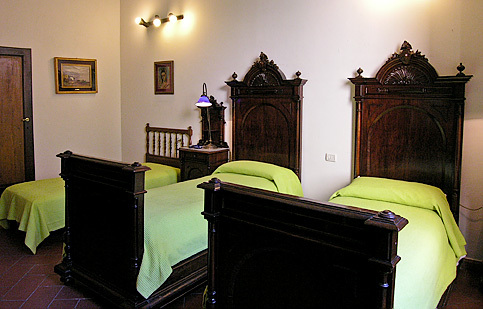 Guestrooms with several antique pieces of furniture, like the beds that are really charming in dark colored wood. Also, there are several Florentine interiors that will amaze you instantaneously. 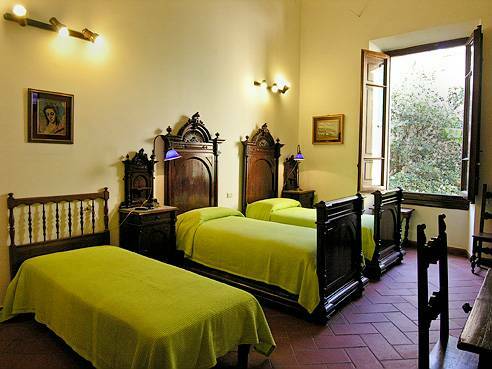 All in all, it is a nice amiable lodging where tradition meets modern services. From Santa Maria Novella station, you will only have to walk around 10 minutes, while the airport is 20 minutes away by car. Continental breakfast it is served in the rooms as there is no special common space for this first meal. At the front desk you will dispose of a fax service and a safe deposit box, and there is also room to leave your own luggage. There is also a cosy reading room, and tourist information is always available.